Ideale Wohnung um „ echtes“ Venedig zu genießen!! Super Lage an der Rialto Brücke, aber ruhig an einer kleinen Piazza. Cafés, Osteria , Supermarkt und natürlich der Fischmarkt Obst-Gemüsemarkt um die Ecke! Die Wohnung ist sehr geschmackvoll eingerichtet, super sauber und alles da, was man für erholsame Urlaubstage braucht! Antonio ist ein reizender , aufmerksamer Gastgeber, bemüht sich Deutsch zu sprechen und hat uns mit vielen Informationen versorgt! Wir werden diese Wohnung wieder buchen!! Very centrally located so that you can get to any site quickly. 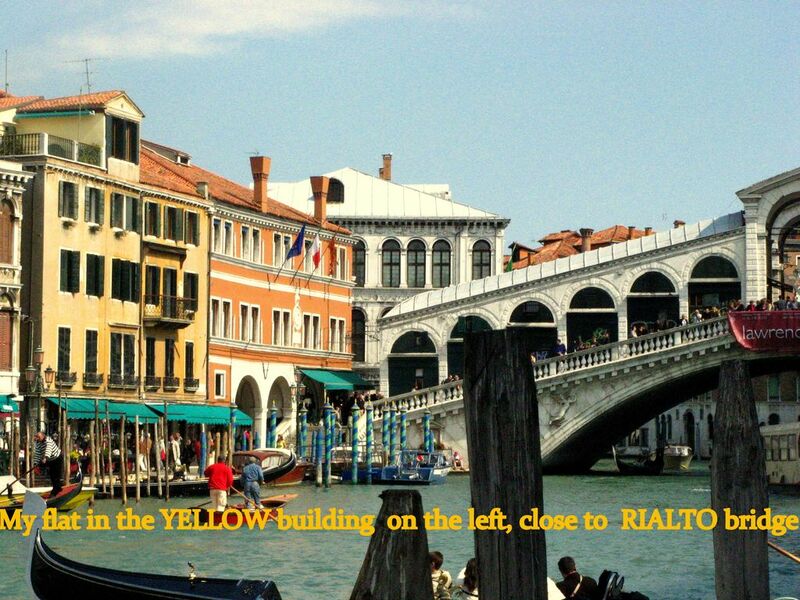 Most vaporettos stop just across the Rialto Bridge from this apartment. Everything in the apartment was as described and Anthony welcomed me and showed me lots of helpful information about the apartment and even checked on me during the week. I would certainly stay here again. Think you Vonda! you were a wonderful guest. I do hope to meet you again. this apartment is incredible. although it is in a heavy tourist area, it is set back from the high traffic path on a small campo. there are grocery markets that stay open later and there are many other shops for convenience. there are many very good restaurants in the nearby alleyways. the apartment is beautifully appointed (the owner has wonderful taste) and we really felt like we were a part of a true venice experience. it also has everything that you may need. the owner and house manager were very communicative and friendly and made us feel so very welcome. we hope that we may stay here again. it made our week in venice a magical experience! A 15 minutes à pied de la gare et de Piazzale Roma (parking). A 2 minutes à pied de l'arrêt du vaporetto (bateau) de l'aéroport, de la gare et de Piazzale Roma (parking.